Beautifies landscape beds, patios, walkways. Insulates plant roots from extreme temperatures. Guaranteed not to fade to grey. Beautifies landscape beds, patios, walkways. Insulates plant roots from extreme temperatures. Reduces soil erosion and crusting wile discouraging weeds (apply minimum 2" - 3") Guaranteed not to fade to grey. Spread 3 inches deep. 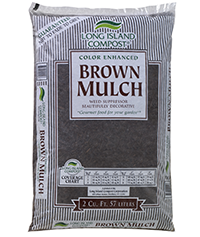 Keep mulch several inches from tree trunks and house foundations or other wood structures. Apply around trees, shrubs, flowers or vegetables after seeds have germinated and plants have developed. Avoid use : Before seeds have germinated, around underdeveloped plants, and within several inches of house foundations or other wood surfaces. Need an answer to a product question? Scotts experts are always available by email and phone in our Help Center. © 2019 The Scotts Company LLC. World rights reserved.